Lisa Samuels and Sawako Nakayasu, eds. 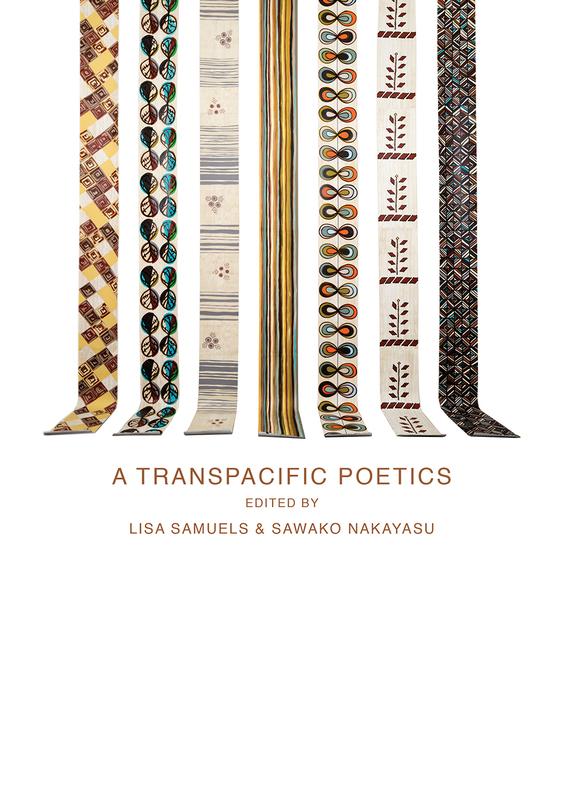 Lisa Samuels’s introductory essay, ‘What Do We Mean When We Say Transpacific’, begins with a quotation from Pam Brown that is particularly well-chosen for this volume. Brown claims that the ‘authentic’ pertains to someone who isn’t manipulated or being alienated from their context. There’s a good deal in this book about alienation relating to identity and culture; many of the authors have had to fight to preserve authenticity. Samuels proceeds to discuss use of the word ‘transpacific’. She describes the way use of the name was influenced by seeing trucks in Oceania with that label, a word that denotes interactions, adding that ‘trans’ alone indicates the transitive and ‘internal difference’. She stresses that her contributors’ cultural understandings also rely on the fact that Oceania is a positive place. Likewise, the ocean has location, but it cannot be grasped, it’s too big. Further, ‘the ocean is one example of the challenge of perceiving what exceeds single identity’ – a wonderful metaphor for the cultural diversity that this book represents. The ocean is one massive being, but rather than seeing its symbol as marginalising everything else, Samuels prefers to ponder what she calls ‘distributed centrality’. She’s a writer who likes to generate her own terminology. Invariably, her terms offer new ways of thinking. A more familiar idea is that the ocean connects us. We are also connected by the internet, but Samuels describes the danger of likening the internet to the ocean, since the internet is English-dominated. Alternatively, she wonders what happens when the universal digitas – which she defines as ‘digital performativity with constitutive perfusing by the techne and humans involved’ – is imagined at the same time as multi-lingual, multi-local, even ‘multi-here’ variations. With this guiding thought in mind, the editors sought out writing which inhabited ‘at least two zones’ of Pacific life. Rather than being exclusionary, she wants this anthology of ‘inclusions and lacunae’ to foster other such collections. Among other new terms, Samuels favours ‘transhuman’ over ‘post-human’, since the former seems to render the human obsolete at a lexical level, whereas ‘transhuman’ emphasises ‘the interfacing body’ and connects and ‘holds open what it means to be human’. The experiments with genre in the anthology are examples of ‘empowered re-mapping’, indicative of a cross-pollination of cultures. Colonisation and later related manifestations brought by tourism are anterior to such desirable fusion. Extracts from Jai Arun Ravine’s ‘The Romance of Siam’ are laugh-out-loud funny, rhythmic and demotic, yet retain the undertone of concern about cultural appropriation. They employ a disingenuous technique which captures a state of mind, though it might seem at first glance to be a vernacular which is insufficiently stylised: ‘I, I have never owned the place of my, um, mother’s birth. I, I visited there once, twice and I, I want to apply for the, uh, Fulbright, too’. Later, the voice of the poem describes having pretended not to know English and suppressing everything ‘non-Thai’ just to get some sense of belonging. Ultimately, this voice feels that everything it owns is owned by a white person. ‘The Romance of the Siamese Dream’, is a short play in three acts, with overture and finale. Yul Brynner is on stage for the 4,634th performance of The King and I. But he’s dreaming. A rice cooker named Tiger appears on stage, and wants him to put his head inside. In the second act, Tiger is replaced by Anna, who is keen to teach Yul to act. She also fantasises about leaving Britain for America from the same port as the Titanic – this detail reflects a note informing the reader that the actress who played Anna falsified her past, pretending she was of English extraction. In the interest of surprise, I’ll leave the summary there, but Ravine’s work is an alarming and attractive piece of writing, which emphasises the preoccupation of the first. By contrast, Ravine’s, ‘Under Erasure’ is a series of diary entries from Doi Saket, Bangkok and Chiang Mai during the period of a residency to make a film titled ‘TOM / TRANS / THAI’. This work seems much less engaged with its environment than one might expect, but at the same time that’s part of its point – it wants to remain detached, even if the writing runs the risk of failing to resonate. On one level, I feel that the writing needs to take courage and go deeper into its subject matter by using more detail, especially of gender-related issues – the author identifies as transgender and uses the plural personal pronoun – but part of its quite deliberate stance lies in a resistance to any expectation to foreground reflections in gender. Effectively, then, the series of diary entries embodies an important concern. … a mimicker of mimetic words in particular. Doubled consonants or certain parts of speech that are repeated on certain occasions, which can be said to be nobody’s business, but they are since everything in English is everybody’s business. Farfar swiftswift zealzeal … In my world of nobody’s business I twirl about frantically frequently farfar to the point of failure feigning englishenglish. The doubled words are used as a motif to open subsequent paragraphs. The author is revealed as a translator, with translation described as ‘a process of endless displacement’. Inevitably, the ‘displaced poetic identity’ of a translation in progress – of the poet Kim Hyesoon’s work – must ‘failfail’. I confess that despite having written haiku for nearly twenty years, I am new to the form of Hay(na)ku, discussed by originator Eileen Tabios in her essay, ‘The History of Hay(na)ku’. It’s an intriguing, short form comprised of three lines of one, two and three words. Tabios claims it retains the ‘charge’ of haiku whilst including paradox evocative of Filipino culture. For me, it looks to have something in common with the cinquain as well as the haiku, with the same attendant difficulty of overcoming such arbitrary limitations. Tabios describes the origin of the name as she negotiated the reference to haiku and historical cultural implications for Filipino writers. 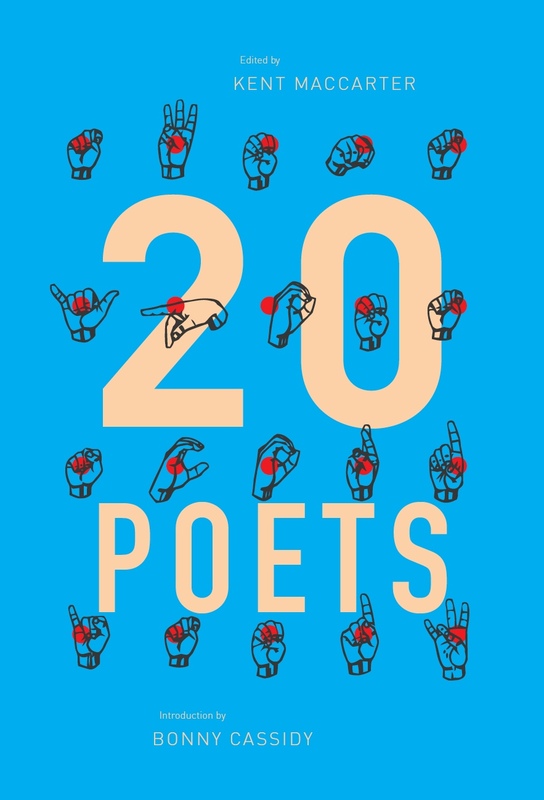 She humbly suggests that other poets have been more successful with the form than she has herself, an idea which she accepts with the statement that any poetry ‘ultimately transcends the poet’s autobiography’. Much more densely, Ya-Wen Ho’s text builds up markers of identity – ‘a zinester; a fosterer of cats; a lover of sunny days’ – by repeating and adding to them over five pages before the first descriptors are printed over and effectively erased (‘This List is Written by a List-maker’). Initially, the new additions continue, but then whole phrases are blocked out before a final reiteration of the whole of the text with a few omissions. The sequence conveys a reiteration of story and language and a contrasting fading away, perhaps of memory, or relevance. This entry was posted in BOOK REVIEWS and tagged . Sean Labrador y Manzano, Corey Wakeling, Craig Santos Perez, Don Mee Choi, Eileen Tabios, Jai Arun Ravine, Lisa Samuels, Murray Edmond, Myung Mi Kim, Owen Bullock, Pam Brown, Roxana Miranda Rupailaf, Sawako Nakayasu, Stuart Cooke, Ya-Wen Ho. Bookmark the permalink. Owen Bullock’s most recent publications are semi (Puncher & Wattmann, 2017) and River’s Edge (Recent Work Press, 2016). A further collection, Work & Play, is forthcoming in 2017 from Recent Work Press. He has edited a number of journals and anthologies, including Poetry New Zealand. 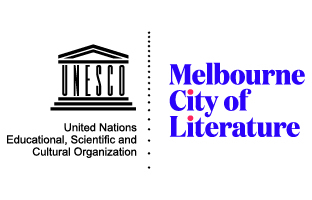 He has a PhD in Creative Writing, recently completed at the University of Canberra. In his research on semiotics and poetry he discusses the work of Alistair Paterson, Alan Loney and Michele Leggott.